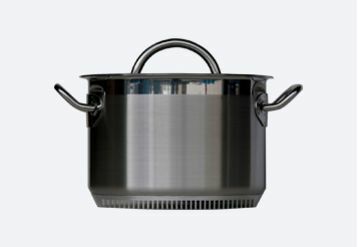 No more “watched pot never boils.” The high tech multipurpose 15.5-quart Turbo Brazier ™ is great for making stock, broth, and soup or boiling lobster, shrimp, and corn. You can use quad pasta insert to cook pasta easily The high-performance heat exchanger technology is equivalent to instantly upgrading your stovetop burners with a boost of power! 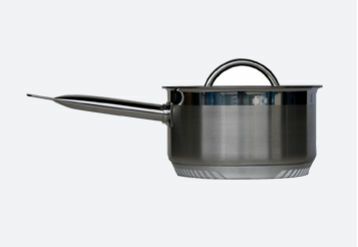 Heat up liquids fast to save time and energy, and reduce harmful emissions from the cooking process. Uniform heating along the bottom of the pot reduces hot spots. 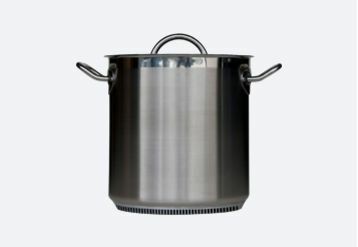 TPS7001 Turbo Brazier 15.5 Qt. 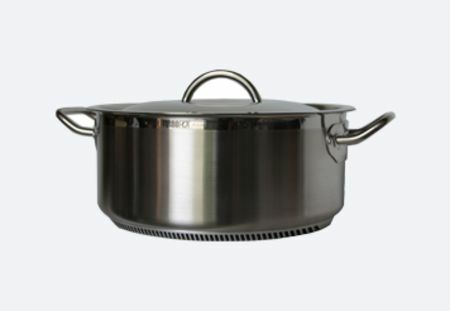 Turbo Pot is an all new high-quality cookware that heats up twice as fast as regular cookware - allowing you to save time, reduce your gas bill and preserve more nutrients in the food you cook. The Turbo Pot is the winner of the prestigious Kitchen Innovation Award 2009 from the National Restaurant Assocciation. Copyright © Turbo Pot. All Rights Reserved.